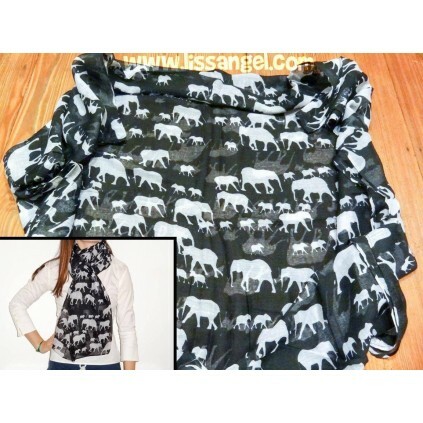 Wrap up this fall / winter with our animal scarves! 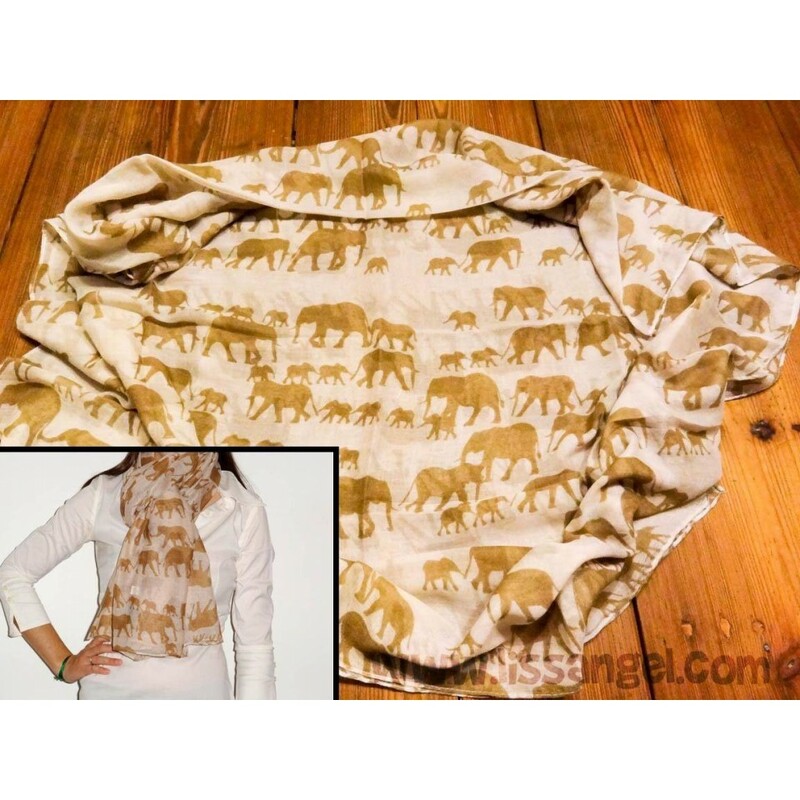 We present this model inspired by elephants, with a family of elephants that seems that they roam the savanna. 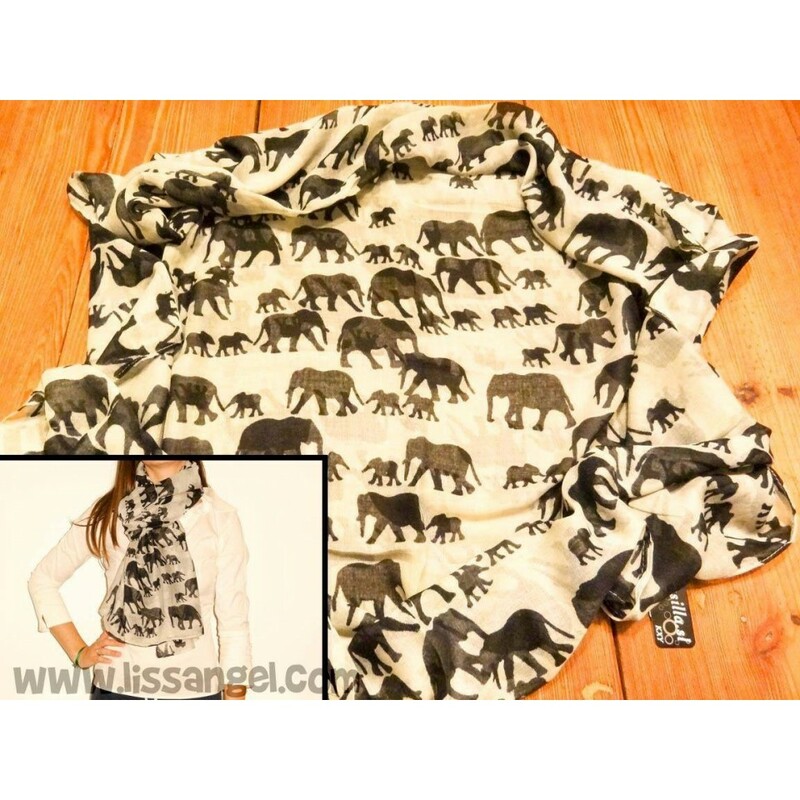 The most exotic animal foulards, here in LissAngel. 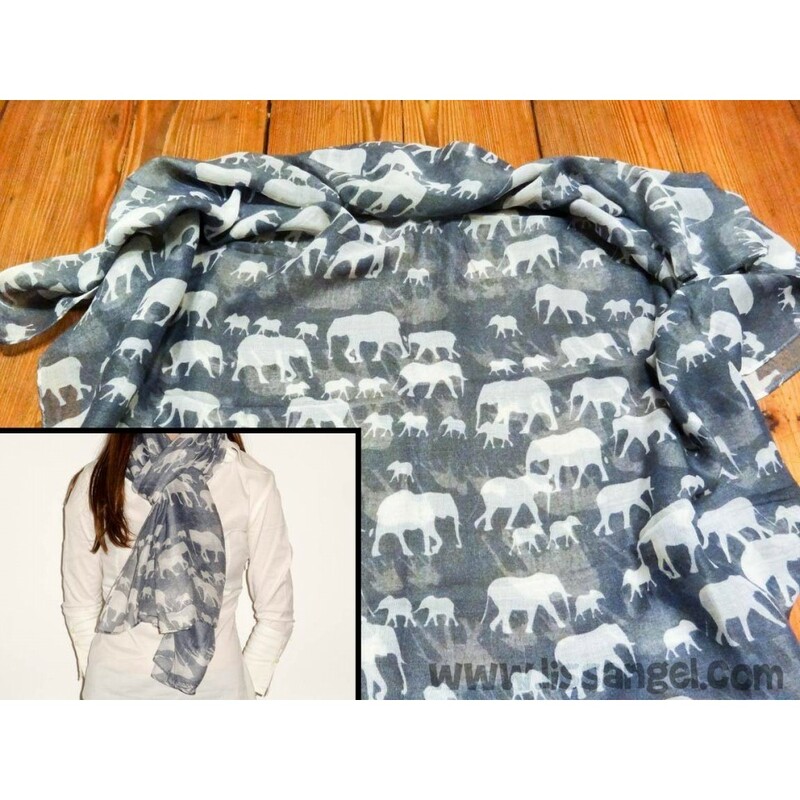 Soft fabric and beautiful prints, available in various colors. 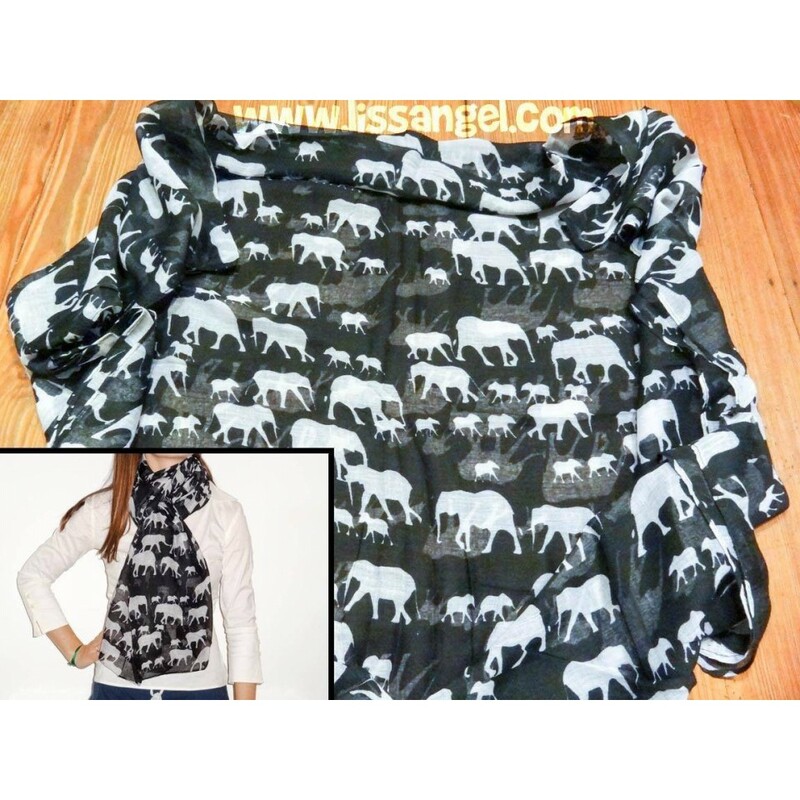 Nice elephant model that will combine well with everything, what color do you like more? * The colors may not match exactly and 100% with the product received. When taking pictures, the camera changes the color shades slightly. Although the pictures are coming almost perfectly to the original color, could not be accurate. 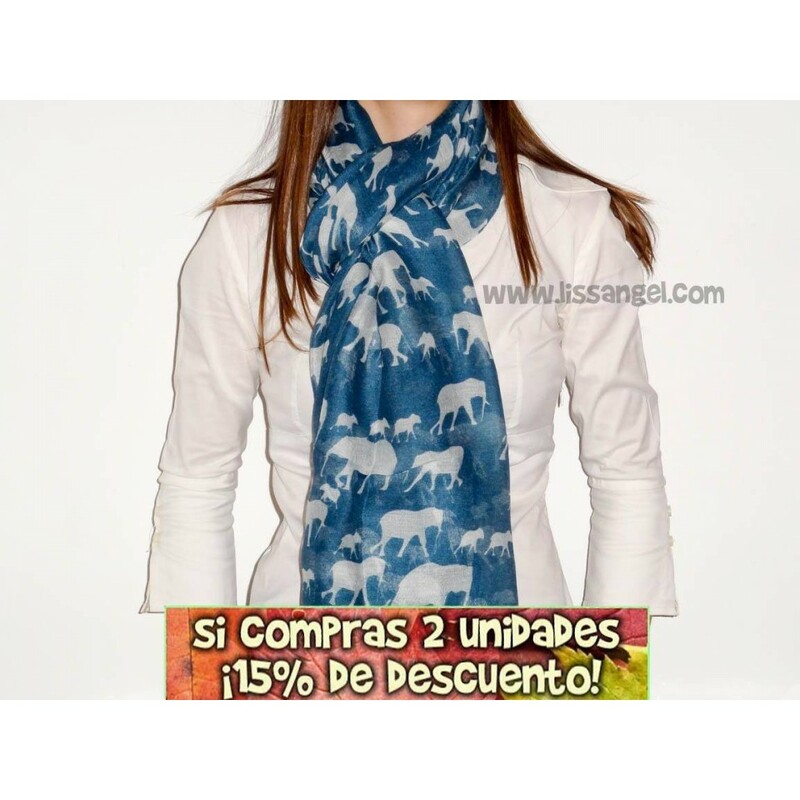 Take advantage of our permanent discount: If you add two units of any model of our animal foulards, you apply an immediate discount of 15%. You can combine the color and model you want. Classic design foulard decorated with beautiful roses in a few butterflies flying around. 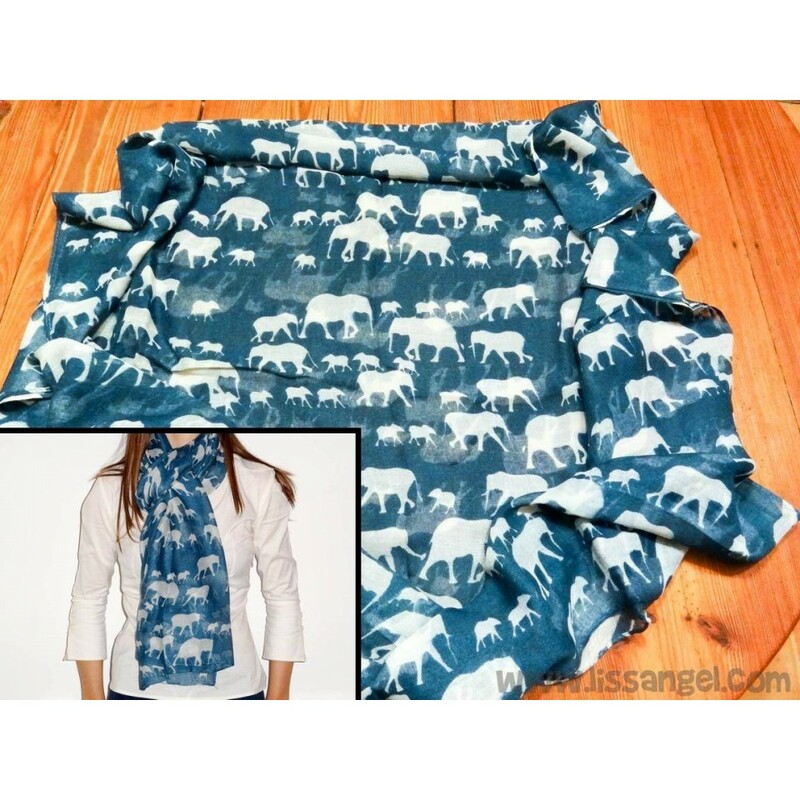 Natural inspiration in this beautiful scarf. 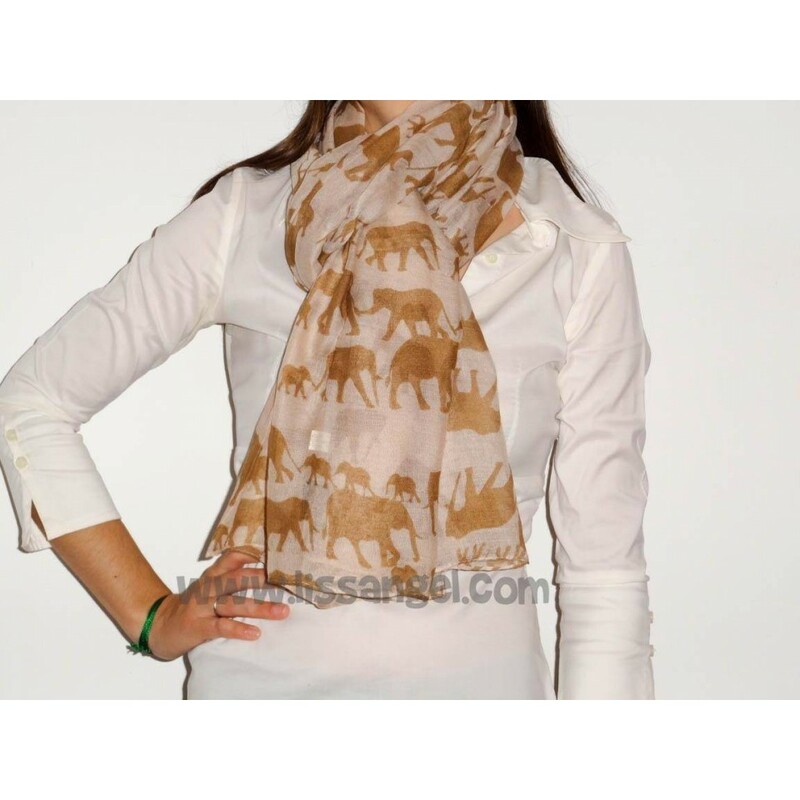 For the fans of horses, with this animal foulard you will feel identified. A nice design of several horses galloping. 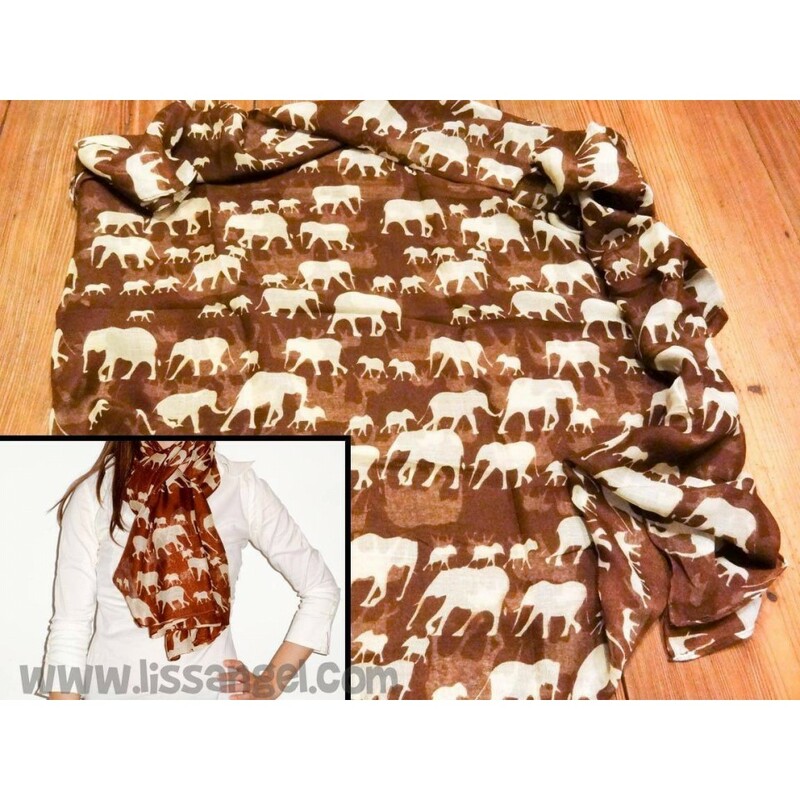 Wrap up with this beautiful design foulard. You can see a pretty floral mix with butterflies. Various colors to choose from. Wrap up from the cold with this fun large foulard available in several colors with a funny design of beautiful owls in love. The wildest touch of our animal foulards is here with this leopards feline model. You dare?